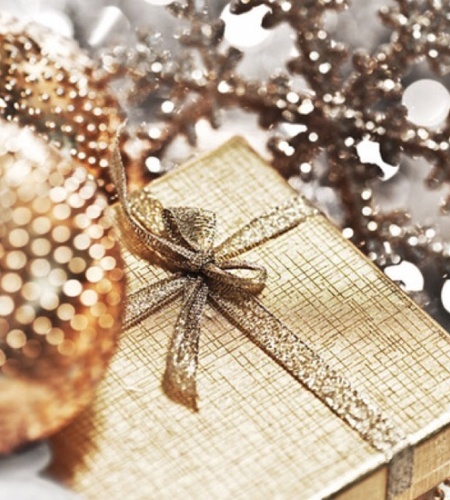 Here are some great gift ideas, some not the sort of thing we typically review, nor titles that we have tons of. If you want ’em, order quickly. These are awesome, for sure. We show the regular retail price, but we’ll deduct 20% OFF those prices, at least as long as we have these in stock. We can gift wrap for free, too, if you’d like — just add a note to the bottom of our order form page. Easy. Our order form page is certified secure, by the way, so you are safe entering credit card digits. If you’d rather, we can just send you an invoice, and you can pay later by check, as we explain at the order form page. Just see below for the links to get to our order form page, or give us a phone call, if you’d like. During the holidays we are here 10 – 8 Monday through Friday, and 10 – 6 on Saturday. We’re closed on Sunday, of course, but every other day, we reply to inquiries, orders, or emails pretty promptly. If you don’t hear back from us within a few hours or so, you might want to give us a ring, or email me at read@heartsandmindsbooks.com We want to make your shopping with us enjoyable and confident, even if we’re a little clunky and old fashioned. As old fashioned as anyone who believes books still make really great Christmas presents! 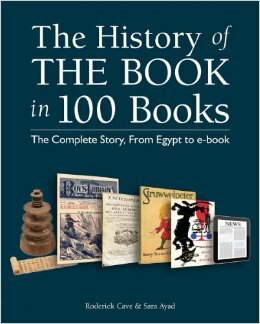 The History of the Book in 100 Books: The Complete Story, for Egypt to e-book Roderick Cave & Sara Ayad (Firefly) $35.00 This is a weighty, well-made book, with sturdy binding and glossy paper, over 360 pages, slightly over-sized. It should be well made, too, because — as you can tell from the title — it literally is a book about books. You may know the “100 items” craze (we have one on the Civil War, a new one on WWI) where 100 items are explored as significant examples of key markers, transitions, or signifiers of important points in history. Here you have museum-quality photographs of key books, both in how they developed from cave paintings, Egyptian cuneiform tablets, Burmese palm leaves, up to parchment scrolls to actual books. Here you will see and learn much about, obviously, the Book of Kells, Gutenberg, the controversies about Bible translations, the rise of all manner of printing and publication through the modern era and into the digitization age. This is a great, great overview of the rise of the book, but it is also a fascinating collection of dozens of book reviews. Do you know the first modern study of anatomy? Much about Johnson’s Dictionary? A “literary oddity that entranced Europe? Tristam Shandy! One of the very first children’s books published (does the name Newbery ring a bell?) Do you know who the first celebrity chef was? Or much about the publishing history of Diary of a Young Girl? And what is the future of the book, from manga to e-books to the question “what is a book?” The History of the Book looks at all this and more. It is a treasure trove and joy to behold, a fabulously detailed book for any book lover and would make a truly awesome gift. 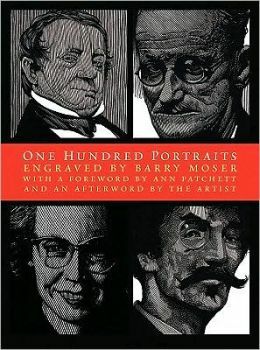 One Hundred Portraits: Engraved by Barry Moser Barry Moser, with a Foreword by Ann Patchett (David Godine) $35.00 Godine remains one of the most reliably prestigious book publishers around, and this gift book, slightly oversized, brings together the exceptionally artful engravings of one who has been called “probably the most important book illustrator working in America today.” (And, hooray, I recall that Ned Bustard’s Square Halo Books has a paperback collection of essays by Gregory Wolfe, Intruding Upon the Timeless, that is nicely illustrated with Moser’s work.) In this magnificent new book you see Moser’s portrayal of writers, poets, theologians, scholars, leaders (and a number of people I’ve never heard of.) You’ll be thrilled to see full page (or sometimes half page) portraits of important figures such as Milton, Dickens, Twain, Auden, Frederick Douglas, Flannery O’Connor, Eudora Welty, T.S. Eliott, Herman Melville, Alexander Pope, Martin Luther King, and a must-see, wild woodcut of Chaucer — and so many more. In his own afterward he writes about his philosophy of portraiture, a bit about why he selected the visages he did, and grouped them a bit for our own background information. And how many books get an introduction by novelist, book-lover, and book seller, Ann Patchett? Very, very nice, lovely, striking, artful. The resulting volume of twenty-one poems includes dozens of watercolors in what amounts to a visual meditation on poems they work to illustrate. Again, the publishers believe this is “a consummate example of the3 collaborative effort that is fine bookmaking, the perfect gift for children, grandchildren, or any love of the book as a physical object.” And, of course, for any lover of good poetry, and any fan of the esteemed Kentucky farmer, naturalist, and storyteller. 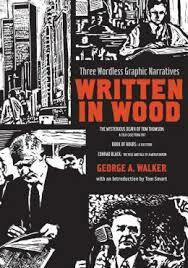 Written in Wood: Three Wordless Graphic Narrative George A. Walker, with an introduction by Tom Smart (Firefly) $29.95 This is an amazing undertaking, and we stock it as an example of what graphic novels can do, how visual art can itself form a story, and how woodcut art is so very, very powerful. Each of these is moving, and I think if you know anyone who enjoys graphic novels, these wordless ones will really captivate them. George Walker is a renowned woodcut artists and this contains his telling of three wordless stories. The Mysterious Death of Tom Thomson explores the death of the iconic Canadian artists who went missing in the summer of 1917. Book of Hours tells the mundane yet meaningful way in which the people int he World Trade Center spent their last hours before the tragic events of the attack on 9/11. Conrad Black relates a story of a famous and notorious media baron. All three of these stories are themselves worth “reading” (viewing?) repeatedly, and the artwork shows how versatile the medium is, and how talented Mr Walker truly is. Cool, huh? 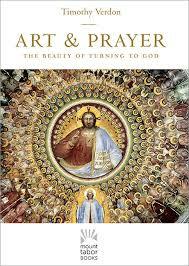 Art & Prayer: The Beauty of Turning to God Timothy Verdon (Mount Tabor Books/Paraclete Press) $32.50 First, I want to say kudos to Paraclete Press for bringing such wonderful books to the marketplace, and for making them with nearly monastic care, beauty, quality. Their rich ecumenical context and their own monastic lifestyle makes them one of the most interesting publishers these days, and one of our favorites. I can hardly think of a book they’ve published in the last decade that we haven’t stocked. This one is magisterial, and we are glad they offer it here at such a reasonable price. It is a heavy, well bound book, made with glossy paper, and vibrant, classical artwork. Monsignor Verdon explores the essential interactions between prayer and the imagination, and although this book seems to be a book of art history — and it is; we stock it in our art section — it is mostly a profound rumination on the nature of prayer. The first chapter is entitled “Prayer, life, art” and it then has mature chapters on spaces of prayer, liturgical prayer, the prayer of pleading, lectio divina, contemplative prayer, and a moving chapter on “the hour of death.” This is all lavishly illustrated, and the artwork is not only illustration, but a springboard for deeper reflection and application. Notice the subtitle: the beauty of turning to God. Father Verdon is one of the world’s most respected art historians, is Academic Director of the Mount Tabor Centre in Barga Italy. He earned his PhD at Yale, although for most of the last 50 years he has lived in Florence where he directed the Diocesan Office of Sacred Art and Church Cultural Heritage and the Cathedral Foundation Museum there. 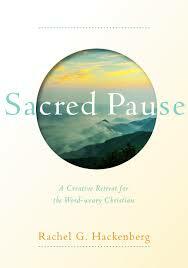 Sacred Pause: A Creative Retreat for the Word-weary Christian Rachel G. Hackenberg (Paraclete) $21.00 Leave it to Paraclete to once again give us a splendid, rich, wonderfully made small book of prayerful meditation, illustrated with good graphic design and full color photography and artwork. Hackenberg is a UCC pastor and the writer of the popular Writing to God, so you can expect a vivid, colorful, aesthetic experience. Here, she invites us to “reconsider and re-engage” with the words we typically use to describe our faith. As Bruce Epperly notes, “This book will awaken you to a sensational faith, encompassing all your senses and enabling you to experience the holiness of God in the quotidian adventures of life.” Yes, this is inviting us to leave behind stagnant faith and tired expressions, but it is light-hearted and joyful, too. From grammar lessons to poetry, stuff on letters and helpfully playful definitions, this is upbeat, making you glad to be reading and pondering and doing such good stuff. She draws on Microstyle by Chris Johnson, Finally Comes the Poet by Walt Brueggemann, and so many more artists, poets, scholars, pray-ers. Handsome, unusual, nice. Consider the Birds: A Provocative Guide to Birds of the Bible Debbie Blue (Abingdon) $16.99 This has been out a year or two, and we’ve carried it to various events, pressed it in to the hands of anybody that (a) likes birds, (b) likes Bible ruminations, (c) likes good sermons, creative, interesting, compelling, and (d) if they just love really good writing, a great, surprising book to enjoy. Blue is a great wordsmith, a really honest pastor, a preacher at the edgy House of Mercy, an emergent church in Minnesota. Lauren Winner said it was “the best book I’ve read all year” which speaks volumes. It has fancy french folds, giving the paperback a very handsome feel, it has woodcuts throughout, making it a tremendously nice book, a great gift. You should buy two, one for you to keep, and one to give away. And be sure to tell whoever you give it to where they got it, since, they, too, will then want to order more to give away. It’s that nice. The Glory of the Tree Noel Kingsbury, photography by Andrea Jones (Firefly) $39.95 I have long been taken with trees, and love good photography of these glorious creatures. Some books art a bit too artful, some a bit too tedious, some more poetry than science, others just wooden lists. (Sorry.) 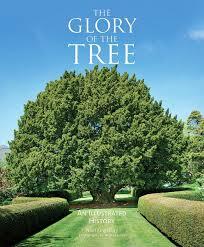 This one gets it right — beautifully written, nicely designed, arranged showing ninety-one of the world’s greatest tree species; it describes their botany and origin, and of course, for each picture it explains the location, size, characteristics, and the potential age (which itself is great fun and mind-boggling!) I love this large book, glad for the vibrant color and the great photography. Dr. Noel Kingsbury, a Welshman, is recognized internationally as a leading innovator in horticulture and has written widely on landscape and plant ecology; Jones is one of the world’s foremost garden photographers. Her work has appeared in all the obvious popular nature magazines as well as scholarly journals. She lives in Scotland. 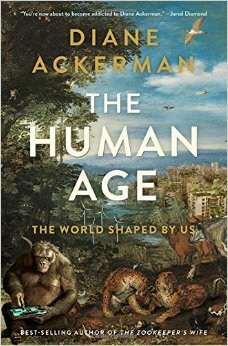 The Human Age: The World Shaped by Us Diana Ackerman (Norton) $27.95 This is by, quite frankly, one of the most important living nonfiction writers, a gracious and vital author, one that has achieved the sort of acclaim that only comes to the finest thinkers and wordsmiths. 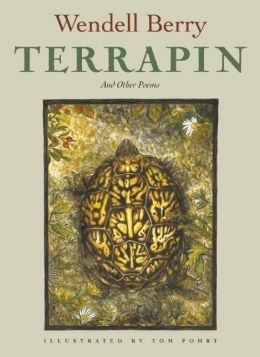 Her work here has blurbs on the back from luminaries such as Siddhartha Hukherjee (who won the Pulitzer for The Emperor of All Maladies), the notableTerry Tempest Williams, the Pulitzer-Prize winner Jonathan Weiner (who says she writes with “brilliance, zest, and high style. We need to hear this voice of affirmation. It is important. It matters.”) Another Pulitzer finalist says “with this stirringly vivid, darkbright manifesto, Ackerman summons us to the wager of sheer possibility: life against death, delight still (if only barely) trouncing despair.” You may have heard of her luminous book A Natural History of the Senses or her lovely The Moon by Whalelight and that she was highly rewarded a few years ago for the book that has been compared to “Schindler’s List”, about the Warsaw Zoo’s saving people from the Nazis, The Zookeeper’s Wife. ESV Readers Bible (Crossway) hardback, with slipcase: $29.99; brown/walnut Portfolio design in TruTone faux leather: $44.99; black TrueTone faux leather: $44.99 We have so many BIbles, and so many are made with striking, nice covers, attractive fonts, and many have useful notes, helpful, insightful commentary, making Bible buying these days an art in itself. We could name many, but this new edition is worth crowing about. This truly is a “readers” version — it offers a single column page (just like any other book, without two columns or notes or distracting cross references) and has the poetic sections off set in verse form, but, most importantly, it has no verse numbers! It really does look great on the page, like an ordinary book, allowing for an ease and coherence of reading that is perhaps unsurpassed. There are chapter numbers (printed in a beautiful red ink in a nice font) giving at least some customary guidance; the lack of verse numbers, though, makes for an extraordinary experience. This is a great translation, too (based on the old RSV, actually) and is increasingly popular, especially in Reformed churches. It has been made very accurate, nicely readable, and just reverent/classy enough. This edition of the ESV, though, stands out. It comes in three cover designs, a hardback, or two kinds of TrueTone imitation leather. 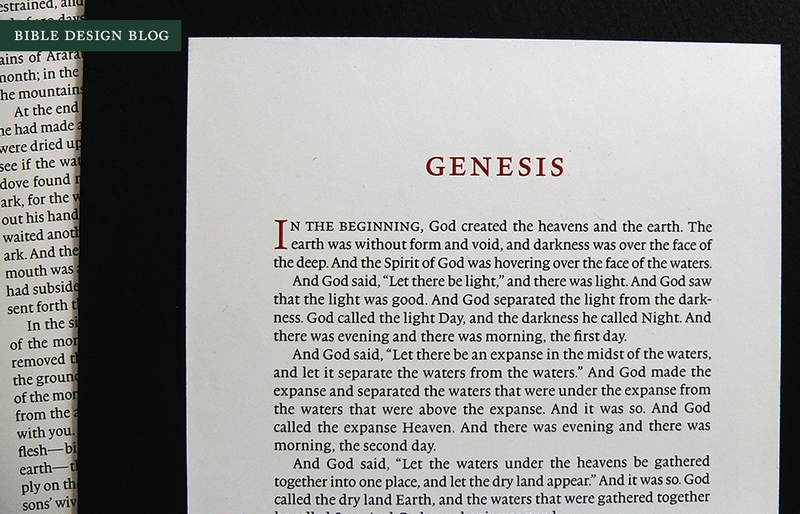 Kudos to Crossway for producing yet another very well made Bible, and for the extra effort put into this fine project and the resulting truly exquisite Bible design. 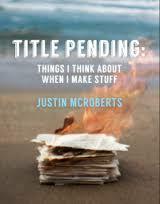 Title Pending: Things I Think About When I Make Stuff Justin McRoberts (Justin McRoberts) $8.99 Funny, I thought “title pending” was literal, just what Justin was calling this project as he was working on it. Little did I know it was really the name of the book. Ha. McRoberts is fun, funny, and also really serious, as a follower of Christ, as a husband, father, pastor, friend, and as an agent of the reign and commonwealth of God; he is dedicated to being a good singer-songwriter, videographer and all around cultural creative. He’s an artist and he don’t look back, if you get my drift. You may know how we’ve pushed his wonderful, wonderful CMYK, a book of stories, letters, graphic art, pictures of installation art, song lyrics (and a CD to go with it all.) We still love selling that book, and enjoy explaining it to folks — the cool design, the artwork commissioned for it, and the song lyrics and letters that form the core of the book, as each letter and essay offers backstory and context for the song. Justin McRoberts, as you might tell, is a very creative guy. His vision of faith is robust and broad — and his musical tastes and aesthetic influences are mature and diverse, too: here he quotes artists and thinkers from Dylan and Rage Again the Machine, to Van Gogh and author Scott Belskey and his helpful book Making Ideas Happen. This brand new little book tells you how he does it. Yes, this is a wonderful guidebook for anyone wanting to be a bit more creative in their lives, who wants permission and courage to think deeply, blow some fuses, make stuff happen. It is, most obviously, a commentary on the creative process, offering examples of how an artist and activist like McBob does his creative best. His master class about reading David Sedaris and ripping off Tom Petty is, well, it is pretty great. I’m not a musician or very creative at all, but I really liked it, I guess. As a bit of a writer, I guess it’s what I, do, too: steal shamelessly. But, like other such books (think, maybe of Lewis Hyde’s The Gift or The War of Art by Steven Pressfield or Ed Catmul’s Creativity Inc) Title Pending is not just a handbook for artists and singer-songwriters, and it is more than a rumination on the creative process. It is a brief guide to living deeply, daring to do what we should, giving it a good shot, being faithful in little things, and maybe some bigger, cool stuff, too. He uses a mountain climbing and hiking metaphor throughout the book (and has a section on cliches, too — ha) and these insights, although directed to artists or those wanting to be more creative, are useful and applicable for anybody wanting to life a more abundant, purposeful, joy-filled, honest life. I’m not just saying this because I’m a fan, because Justin shows up at places I respect (Calvin College Festival of Faith and Music, Jubilee, Q and the like) or because he is a fine friend. I say it because it is exactly so: this little book is a must-read for creative types and artists, and it is also really nice for anyone who wants their very life to be a work in progress, perhaps as St. Paul put implied, a living canvas. 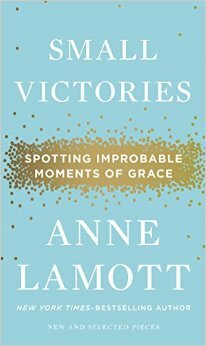 Small Victories: Spotting Improbable Moments of Grace Anne Lamott (Riverhead) $22.95 This is a wonderful collection of this fine writer’s best pieces on grief, coping with harder times, finding (spicy) grace amidst the brokenness of our screwy lives and oh-so-hurting hurting world. Most essays are gathered from other other collections, although one or two had only appeared in magazines, and there is maybe one new one. We so enjoyed hearing Anne at the Calvin Festival of Faith and Writing last spring, and had even asked to host here at the shop, thinking she might appear at a small indie bookstore. (Improbable, we knew.) She’s been out promoting this book a bit, and it deserves acclaim. It reveals her big spirit, her kind heart, her eccentric faith and her deep awareness of God and mercy and hope, and the joy of baby steps on the right road towards recovery. The jacket is especially handsome, the heft of the book is considerable (even though a handy size, like her other recent ones) and even the ink is colored on very nice creamy paper. This is clearly created to be a keepsake or gift book, and it is a nearly perfect design. 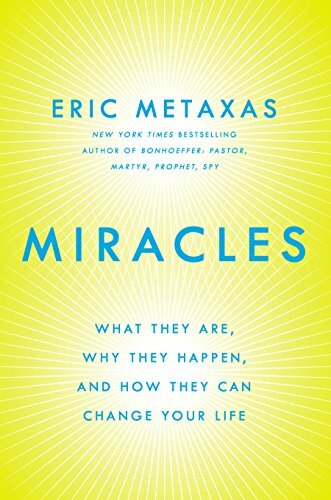 Miracles: What They Are, Why They Happen, And How They Can Change Your Life Eric Metaxas (Dutton) $27.95 I have been waiting for this amazing book, published by this old, prestigious publisher, to fly off our shelves, and although we’ve promoted it at BookNotes already, I wanted to remind you of it again, now. This is a hefty, handsome hardback, a solid, thoughtful gift. You know Mr. Metaxas is a zesty writer, a serious, deft, thinker, a great communicator. He graduated from Yale with honors and he worked for VeggieTales for a while (honing his wit and good humor there, no doubt.) He came to fame by writing a biography of William Wilberforce (which became the wonderful film, Amazing Grace, which has helped catapult the new abolitionist movement against trafficking and modern day slavery.) He hit his stride with the big bio, Bonhoeffer, which is doubtlessly the most popular and widely read (and widely discussed) book on the German theologian and martyr, ever. Metaxas has edited a great collection of essays (Life, God, and Other Small Topics…), an anthology of shorter biographies (Seven Men) and some clever books on apologetics for skeptics and seekers. He’s even written some lovely children’s books. He is way talented, energetic, productive, and we should be glad somebody with this calibre of smarts and this level of energy is on the side of the angles. 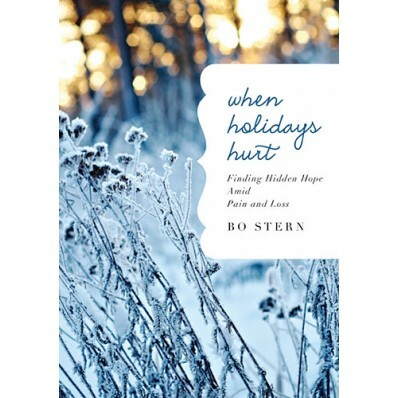 When Holidays Hurt: Finding Hidden Hope Amid Pain and Loss Bo Stern (Nelson) $12.99 Every year we feature a book or two or three about this topic, and many respond by buying multiple copies; there is a real need for books likes this, and as we move through the longing and anticipating of Advent, it is a good time for all of us to be aware of the deepest “hopes and fears of all the years.” But sometimes, rather then experiencing quiet Advent longing and anticipation of redeeming hope that gives us room to mourn and space to be honest and raw, we end up with false faces, too much cheer, movies about romance, mistletoe, joy, joy, joy, joy. How in the world are we to cope with this cheeriness when our hearts are heavy from grief or loss? What resources are there for those who hurt? This book is arranged as a devotional, so the reader can reflect a little bit each day — not a bad idea! — but it also unfolds as the author tells her story of her husband being diagnosed with ALS, the pain of his impending death, and the struggle to connect the joy of the season with the suffering within their own family. You should be aware of this small, handsome hardback, and perhaps consider sharing it with somebody you know who needs some hope about coping the next few weeks. 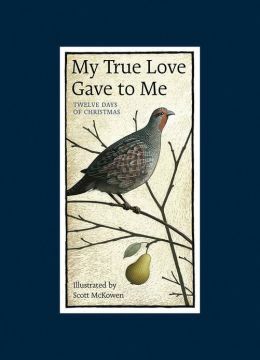 My True Love Gave to Me: Twelve Days of Christmas Illustrated by Scot McKowen (Firefly) $19.95 Perhaps you just need a little stocking stuffer, a handsome book without too much serious content, a nice gift, nicely made. Or something to kick off a new tradition of keeping Christmas alive for twelve more days, towards Epiphany! This is our favorite book with the odd lyrics, lyrics that are in fact full or religious symbolism. This is one of those nice clothbound books, rich, without a dust jacket, and great illustrations, more for adults than kids. Certainly you have a true love, no? This is really sweet. 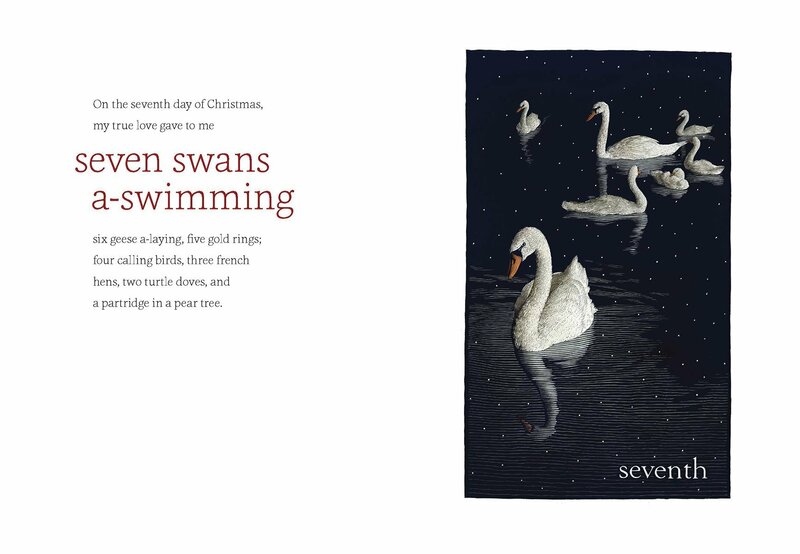 Here is one of the spreads, showing the type on one page, and the artwork on the facing page. Nice, eh?